The No Tower Coalition has already proposed one alternative to the Boffo/Kettle towers (see here and here). While we have had lots of positive community response to our alternative, we have had only minimal positive response from the press (with the exception of Carlito Pablo in the Straight). Further, we have had no response so far from City Hall. It seems that city staff have been involved in discussing the Boffo/Kettle proposal for over 5 years. That’s a lot of staff time and effort put into only this one possibility! However, we think it’s reasonable to ask them to put just a little bit of time and effort into considering, sincerely, our alternative. 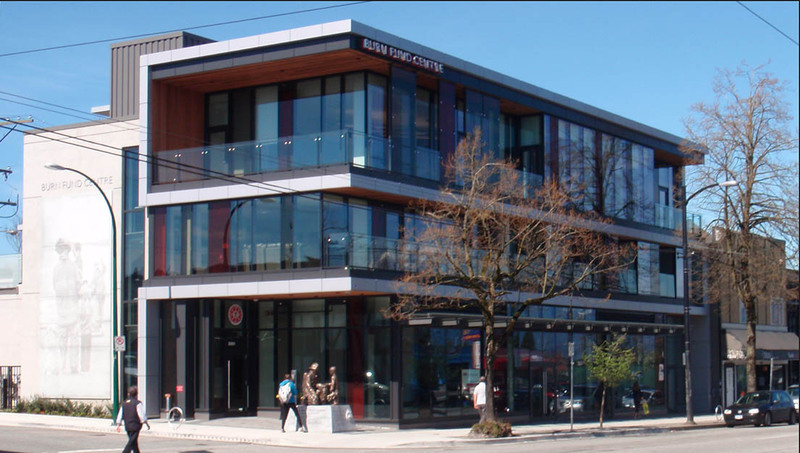 More than that, we notice that with other social housing projects built recently in Vancouver, the principles and assumptions that guide our alternative are already in use. Two examples, are the Sanford/Kettle building at 1700 Kingsway and the Burn Fund Building at 3891 Main St. 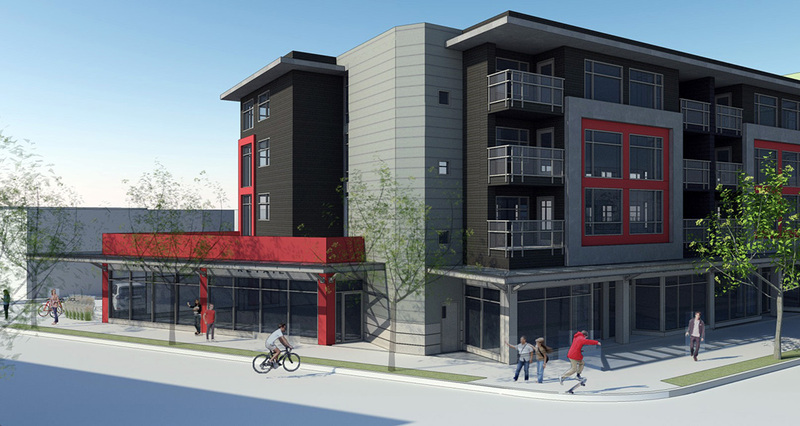 The Fraserview Co-op (278 units) has housing close to market rates, providing revenue to the other sites;. The Tikva Housing Society will operate 32 townhouses for low-income families;. Further, the retail lease at 1700 Kingsway will be sold as a prepaid lease, providing additional revenue to all four sites. 278 Co-op units at close to market rates and 80 units at below market rates, including some that will be large enough to accommodate families. Co-op units require a share price, but this is generally much less than a down payment and therefore tend to be accessible to a broader range of people. In the Boffo/Kettle scenario, we get 200 condos and 30 studio-size below market rate units plus program and office space. Not only is the ratio of market to non-market units worse, all of those condos will be sold at new build retail rates, some with premium pricing as a result of fantastic unobstructed views of the North Shore mountains. An overall much less accessible and inclusive project. Don’t believe us? Check it out for yourself at the Land Trusts website, or see the Vancouver Community Land Trust Foundation_1700 Kingsway pdf. This site was originally purchased by the City of Vancouver to be used as the new Little Mountain Neighbourhood House. When the City realized it was too small to work for that purpose, they agreed to enter into a 60-year low-cost lease with the Burn Fund. The Burn Fund project has only 8 residential units, but has a large programming and administrative space, similar to that being requested by the Kettle. The total cost for this project is estimated at $15 million. The City of Vancouver estimated that through the lease agreement the City is providing $1.5 million in capital costs to the project. The Burn Fund did their own fundraising, but also secured $4 million in capital costs from the Provincial government (half from each of the Ministry of Health and the Ministry of Housing and Social Development). Finally, a retail lease for the ground floor space (3135 sq ft) added revenue of $38 psf or $119,130 annually. The building has been built and now operates. These two project were made feasible because the City of Vancouver provided land through a low-cost lease. Both have retail leases as part of the funding structure. 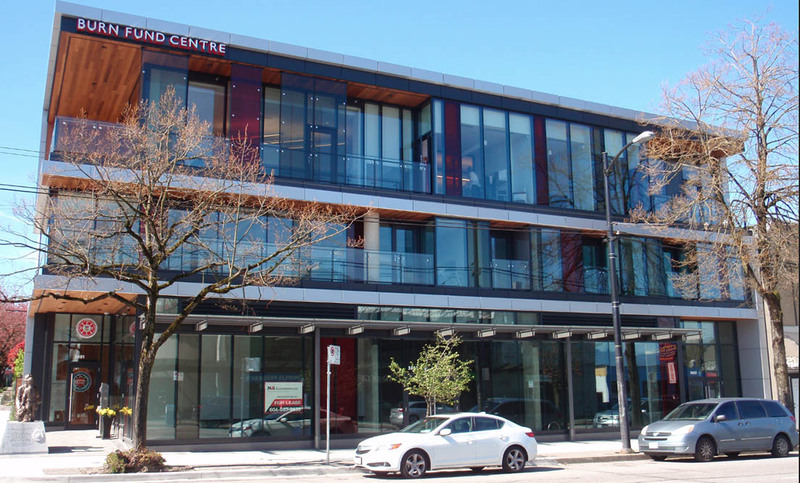 One has other buildings, though not a condo tower, as additional funding sources; the other has a combination of self-raised funds and Provincial government funds to add the needed revenue. All of these ideas are possible at Venables and Commercial and should be seriously considered as community-friendly alternatives to the highly controversial and unpopular for-profit tower. Posted in Alternative Proposals on April 16, 2016 by pennystreet546.